Welcome to the Freedom Area School District. Please browse our website to introduce yourself to our district. We invite you to learn more about our schools and our instructional programs. We have two physical campuses housing one elementary school, one middle school and one high school. Our highly qualified staff are dedicated to providing a positive, supportive learning environment for each student. We believe our students should learn from the past, meet the challenges of the present and be ready to cope with their future responsibilities. We are one of the highest achieving school districts in the Fox Valley Area. We serve over 1640 students PK through Grade 12....building the future one student at a time. Please take time to get to know who we are, Freedom Elementary, Freedom Middle and Freedom High School. 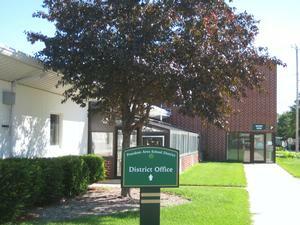 The District Office is located in the Middle/High School Campus on the second floor of the original 1929 building. As you enter from County E you will see our entrance next to the greenhouse. Please contact the District Administrator, Mr. Kevin Kilstofte, at (920) 788-7944 should you have any questions or need any type of further assistance.